DNA paternity testing determines the biological father of a child. We all inherit our DNA from our biological parents — half from our mother and half from our father. A DNA paternity test compares a child’s DNA pattern with that of the alleged father to determine if there is a match. Majority of human DNA is very similar between individuals, leaving small parts which are distinct between random individuals. It is these distinct pieces of DNA (genetic markers) which are used in Paternity testing to determine the biological father of a child. The high variability in the genetic markers between random individuals makes it extremely unlikely for unrelated individuals to have the same marker. Half of our DNA is received from each biological parent which would mean that half of the genetic markers analysed will match half of the biological mothers, and the remaining DNA markers will match half of the biological father’s markers. The more genetic markers used in testing the more discriminating the test can be. Therefore, tests that include a higher number of markers are more reliable. Using DNA to test the paternity of a child is the most accurate method available. This method can determine to about a 99.9% accuracy whether an alleged father is the biological father of a child. If the DNA profile between the mother, child and alleged father match on every DNA marker pair, it can be calculated that the probability of paternity is 99,9% or greater. If the alleged father does not match on two or more DNA marker pairs, it can be determined with 100% accuracy that he is not the biological father. Can results be admissible in legal proceedings? In order for paternity tests to be admissible in court, the tests need to be performed by an accredited laboratory. The testing procedure must also follow strict chain of custody, which governs the process for sample collection and identification of the tested parties. For the sample collection, it must be done by an independent person which is either a doctor, registered nurse or by someone who is in the presence of a local magistrate, GP or lawyer. Every step of the sample collection process must also be documented. For the identification process, each test participant needs to supply 2 passport sized photographs, the original and certified copies of their Identity document or a birth certificate if a child is being tested. 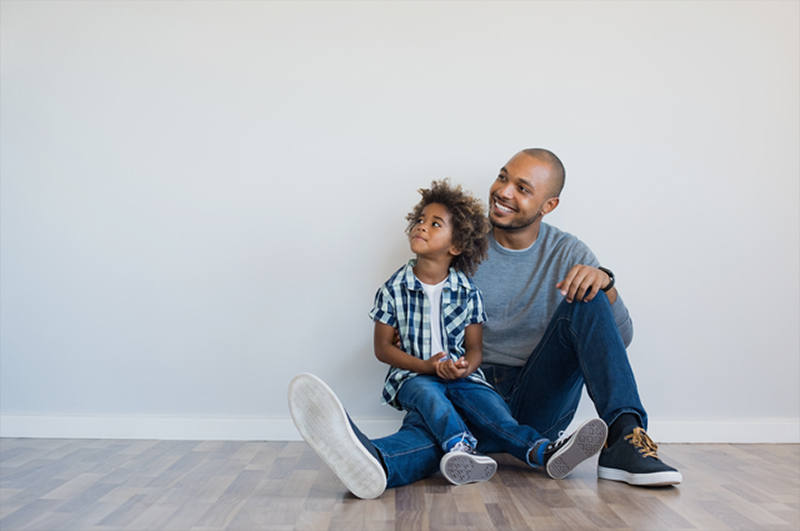 If samples are collected and testing is done under chain of custody requirements, the results can be used to settle child custody and support cases, inheritance disputes and for immigration applications. Testing can also be performed for non-chain of custody cases, here DNA samples can be collected privately and anonymously. This is for individuals who would like to determine paternity or other family relationships for personal knowledge only. This is a standard paternity test which involves a small blood sample being collected from the child and alleged father. The turnaround time for results is 1-2 weeks. The test is done under chain of custody conditions only. This is a test used to determine both the maternity and paternity of a child. It involves collecting a small blood sample from the child, alleged mother and alleged father. The turnaround time for results is 1-2 weeks and the test is done under chain of custody conditions only. This is for testing the paternity of an unborn child. Paternity can be determined by a simple blood draw from the mother and oral cheek swabs from the alleged father. The lab separates the foetal DNA from the mother’s DNA and creates a DNA blueprint specific to the foetus. Comparison of these blueprints with the alleged father’s DNA is used to accurately determine the paternity. This testing can be performed as early as 9 weeks into pregnancy and can be done under chain of custody conditions or not. The turnaround time for results is 2-3 weeks. Next Biosciences will send you a Test Requisition Form (TRF) to fill out and return as well as an invoice for payment. Collection of the samples is done. For chain of custody testing the samples must be collected by a neutral 3rd party under the strict chain of custody procedure. Any fee charged by the collector will be separate of the testing fee. Once collection is done, you must notify Next Biosciences and they will arrange for collection of the sample(s) and courier to the laboratory. The samples are shipped to the lab and testing commences. Turnaround time for the results is 1-2 weeks. Once the results are ready they will be sent to you via email from Next Biosciences. The child must be positively identified at the time of collection with an Identification Document, Passport, Birth certificate or clinic card. A copy of this document must also be brought to the collection. In the absence of the above documents for a minor child (under 16 years), an affidavit must be completed by the guardian and certified by a commissioner of oaths. Consent must be given by the child’s legal guardian for the test to be performed, this is done with a signature on the request form. Each tested party must sign consent for their blood sampling to be done on the Guthrie card and to verify that the sample was labelled correctly. This will be done by the legal guardian for a minor. Is the Biological mother’s DNA required to perform a paternity test? The biological mothers sample is not required in order to perform paternity testing; however, it is useful. As mentioned before, DNA does not vary vastly between individuals in the population, only a small amount does. As such, a very small likelihood exists that an alleged father’s genes may match the child due to random chance. By examining the biological mother’s DNA profile, it can be determined exactly what half of the genetic markers were passed on by the mother and therefore what remaining half is attributable to the biological father. When testing the mother, father and child the probability of paternity can be determined within a 99.9999% certainty or more. Without the mother, a 99.9% probability of paternity can be achieved. Another benefit to the mother being tested is that it can confirm that the correct child was tested, as it will be evident in the results that the mother matches the child genetically. What if you are testing paternity between related alleged fathers? When it comes to related individuals there is a high likelihood that some of the DNA markers may be shared. With men who are related there is a significant chance that both men could test positive as the child’s biological father. Similarly, if an alleged father is tested, he can be proven to be the biological father where a sibling or another related individual is the actual biological father of the child (known as false inclusion). In situations where more than one alleged father is being tested and a blood relationship exists between them, it is important to disclose this to the lab. An extended analysis can be done at the labs to account for these similarities, but this is not standard as a relationship between alleged fathers is never assumed. Can non-invasive prenatal paternity testing be done on twins? If a mother is carrying twins, prenatal paternity testing can only be performed when the twins are identical. They will carry the same DNA so when testing the foetal DNA they can be sure that the DNA matches both children. However, if a mother is carrying twins who aren’t identical, i.e. fraternal twins, prenatal paternity testing cannot be done. This is because, while it is uncommon, it is possible that each egg was fertilized by different sperm. In cases such as these the paternity of each child cannot be determined in utero, as current technology cannot isolate and differentiate between each foetuses DNA. Are there situations where DNA Paternity testing cannot work? There are rare cases in which individuals do not have a single and distinct set of genes. These individuals, known as Chimera’s, have at least two different sets of genes. This can result in a false negative if the tissue which is used for the sample has a different genetic make-up from their reproductive tissue.